Stay in every one's favour this year by spreading some Christmas cheer and giving away our Customised USB Father Christmas Flash Drives to your friends and customers. Each of the Customised USB Father Christmas Flash Drives come ready printed up with your business details and company logo to help you stay advertised. Sometimes also know as USB memory sticks, USB Flash Drives, and USB Pen Drives and available in sizes 256MB, 512MB, 1GB, 2GB, 4GB, 8GB and 16GB. To find out more about our Customised USB Father Christmas Flash Drives click here and fill in the contact form and we'll get straight back to you. 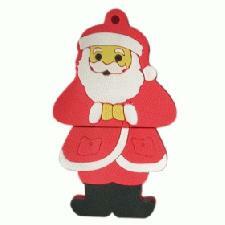 Other promotional and personalised items besides our Customised USB Father Christmas Flash Drives click here.